Parents have a role to play in their child’s schooling; one cannot just let the teacher take care of everything. Parents must know what is happening in their child’s school and how he or she is performing in the class. And this can be known by attending regularly teacher-parents meetings. But, busy schedules take a toll. 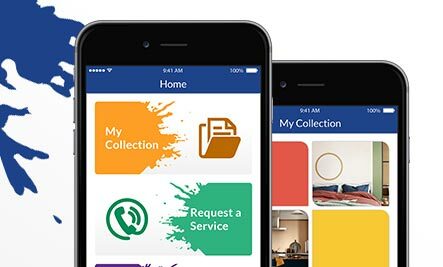 And, that’s why our client (School) wanted to keep updated the parents through a mobile app. 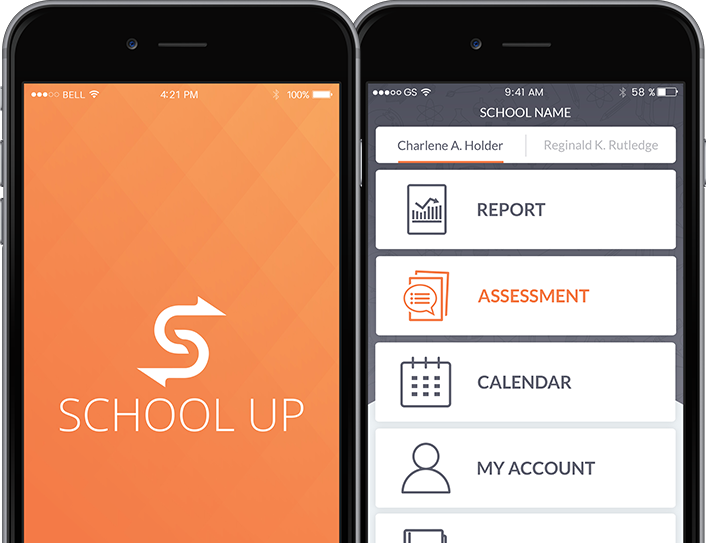 Schools Up is an app made for parents to keep a better track on their child’s progress and performance in the school. 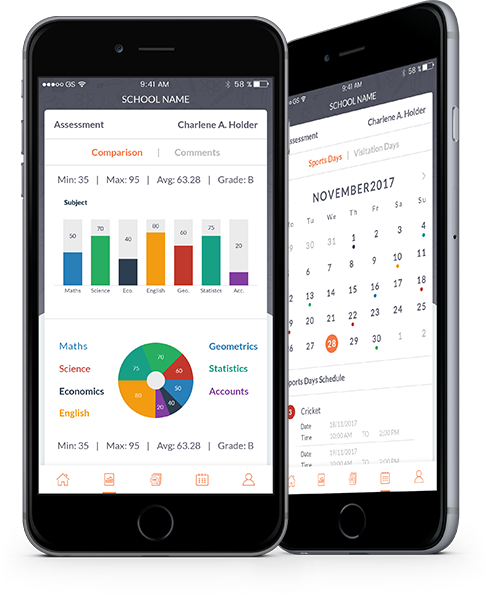 It is an online portal where parents can track the academic progress of their child, track their school bus location and even pay their school fees online using Parent Portal. In the school up app development project, our challenge was to make the app interactive. Mobile devices these days are loaded with high-tech sensors, thus offering a plethora of opportunities. So we have to make the most of these sensors! Creating interactions, however, it is time-consuming and proved to be challenge to deal with during the design phase. Our iOS and Android developers crossed this hurdle in a decent way. 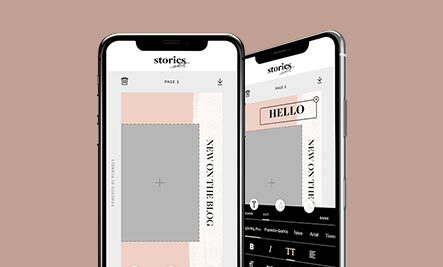 The team considered interactions well in advance to save time during the design phase with an ultimate aim for a comprehensive app experience. Other than tap and swipe gestures, there are various click options that consider overlays to display additional information. 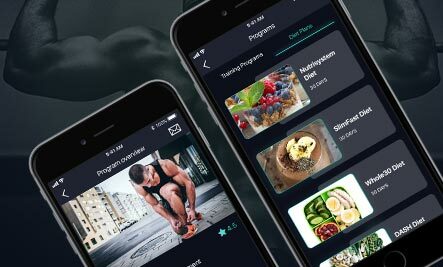 App made for Parents to keep track of progress being made by their kids. 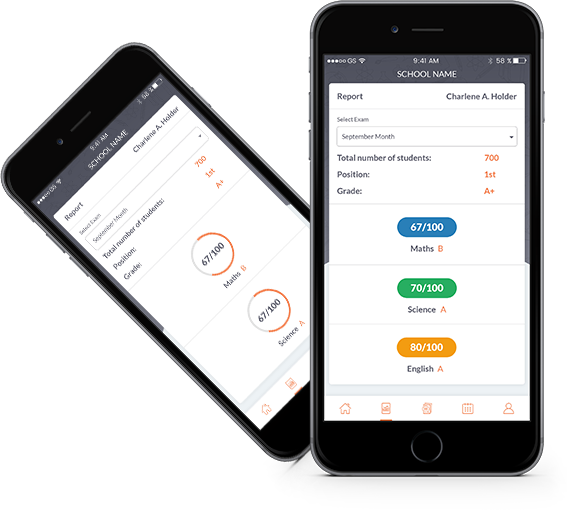 App acts as a single source of communication with the school about everything parents want to track. Home Screen acts as command center with options like Report Assessment Calendar, My Account and Contact. Every parent would receive login from school with initial profile setup Parent can update contact details if they want. Profile also includes child’s class and ID details. Dashboard provides rich and real time information for kid’s progress. Color coded grade analysis makes it seamless for parents to analyze the grades for various subjects. Parents can discern position their kid among the class with min, max and average numbers. Calendar acts as planning tool for parents to schedule their next visit based on event listing. Clear indication of visitation and event days provide parent visibility of various activities happening at the school. Comments Screen provides parents with valuable insights from teachers of various subjects. Depending on the Exam selected from the menu, parents get ranking and individual subject’s performance for that particular exam. 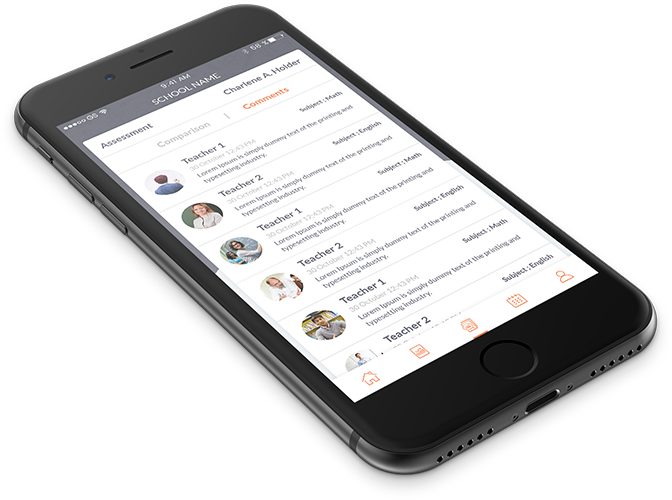 The app has made lives easier for teachers, parents, and students to collaborate on one single platform to communicate. In the next version, we are going to add one more feature of “virtual classes”.